Can You Really Lose Weight Fast and Safely with Medifast? We are sure that you have come across countless numbers of Medifast ads plastered all over the Internet by now and wondered what is this diet program really all about. There is just so much promotion going on for Medifast that some of our readers have written us asking us to give the real scoop on this weight loss diet program that is different from most Medifast diet reviews, to which we have obliged. So the big question among our readers is what exactly is Medifast? Does it really live up to its claim that you can lose weight fast and safely? Can you really lose weight by eating six meals a day just as Medifast requires? These are just among some of the questions that we'll try to answer as we look into this program in detail. Medifast is one of those meal replacement weight loss programs that you will find in the market today — but keep in mind that not all meal replacement programs are created equal. Is Medifast worth your time, effort, and money? Let's examine what this weight loss diet program is really all about so that you ... Read Full Article. The Science Daily reported on findings of a study that links a lack of sleep or poor quality sleep to obesity. The opinions drawn from the research may be found in a paper printed in the American Journal of Human Biology and that paper states that the research demonstrates a correlation between a lack of sleep or poor quality sleep to adverse effects in an individuals appetite regulation, glucose metabolism and blood pressure. These findings may be significant in helping those attempting to lose weight ... Read Full Article. A study has linked obesity with not sleeping enough. In this study participants either slept normally or slept only two-thirds their normal time. During this period, researchers looked at the levels of some hormones which are important in regulating food intake, as well as overall food intake and activity levels. Interestingly, the sleep-deprived group consumed an astonishing 549 extra calories per day, in comparison to the well-rested group. Furthermore, this was associated with higher leptin and lower ghrelin, but this is more likely to be a consequence of eating more, and not necessarily what caused ... Read Full Article. Many people constantly seek the easiest methods that they can find to lose weight. For example, they tend to grab the latest shiny magic pill in the market to achieve weight loss. A study conducted by an Oregon State University researcher confirms that "no research evidence exists that any single product results in significant weight loss". In fact, many of these weight loss supplements have detrimental health benefits. Researcher Melinda Manore revealed that some of the products such as green tea, fiber, and low-fat dairy supplements can produce a modest weight ... Read Full Article. Daily Brisk Walking Can Help Prevent Obesity? Scientists know that 50% of obesity cases are influenced by genetics, but can this be overturned? In other words, even if you have the doomed genes, can you still have a healthy weight? Or no matter what you do, will you put on the pounds? At first glance, the study suggests that a one-hour brisk walk can prevent obesity. The overall message coming out of this study is that we don't have to feel doomed with the genes we have, and a little exercise goes a long way. However, effects of this exercise are limited and unfortunately don't completely override the detrimental ... Read Full Article. The Health Day News reported some interesting and encouraging findings following a study conducted on 210 overweight or obese adults. The participants of the study were asked to track an assortment of daily weight-loss-related activities in a personal weight loss diary. Using a paper diary, an electronic diary that provided no feedback, or an electronic diary with daily feedback, participants were asked to make regular daily entries regarding calorie intake, fat intake, daily exercise, energy levels, and ... Read Full Article. Another investigational weight loss pill was again rejected by the FDA to become the second diet drug rejected in the same week. The diet pill, Qnexa, was developed and manufactured by Vivus and was submitted to the FDA for approval following a number of clinical trials conducted by the company. People with weight problems shed off between 6 to 10 percent of their weight, according to the results from clinical trials. In fact, at a previous meeting of outside experts convened to vote on the drug, one of the panelists at the meeting appraised the drug being superior to every other ... Read Full Article. Obese teenagers will continue to put on more weight as adults, according to a study. 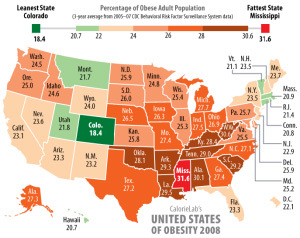 This is especially concerning as the statistics for obesity in the USA are already alarming. One third of children and teenagers are overweight, and two thirds of adults are obese. Overweight youngsters are becoming the norm, with many 8 year olds weighing as much as the average 12 year old. As these young people hit puberty, their body shapes change with more muscle being put on larger bones as they grow. Young girls start growing breasts and both sexes tend to spend more time on less energetic pursuits, passing a lot of ... Read Full Article. A study confirmed that overweight and obese people's health can improve if they take frequent short breaks of light or temperate intensity activity like walking to interrupt long sitting durations. This is because these light activities help in keeping the glucose and insulin levels under control even after taking meals with high calories level. Repeated spikes in blood sugar are often associated with "poor health outcomes, including artery stiffening and cardiovascular disease". Larger and recurrent spikes damage the artery and vein walls increasing the vulnerability to ... Read Full Article. Fructose May Not Induce Weight Gain? According to a review and meta-analysis carried out by David Jenkins of the University of Toronto and his colleagues, fructose is no more a culprit in weight gain than other carbohydrate types. While fructose was associated with weight gain when taken in high doses, it wasn't proven if the excess weight was due to the fructose intake or an overall high calorie intake. In fact, according to a recent trial conducted by George Bray of Pennington Biomedical Research Center in La., extra calories do lead to an increase in fat, no matter what the diet composition. Read Full Article. If you belong to the group of frustrated people trying to lose weight in your belly area, here's a recently discovered fact to encourage you even further: whether you're on a low-fat or low-carbohydrate diet, you will shed off belly fat. Better yet, when you lose weight from your stomach area, you improve the functions of your blood vessels. These findings came out as the results of a study headed by Professor Kerry Steward of the Johns Hopkins University School of Medicine and Johns Hopkins Heart and Vascular Institute. In this study composed of 60 men and women who tipped the scales at 215 pounds were made to adopt either a low-fat or low-fat diet with equal amounts of daily calories. Over the course of six months, the low-carb dieters lost 28.9 lbs and the low-fat dieters shed 18.7 lbs. Read Full Article. Do Brown Fat Cells Hold the Key to Eliminating Obesity and Diabetes? An article appearing in Science Daily reports that at the 93rd meeting of the Endocrine Society held in Boston, Aaron Cypress, MD, PhD, reported scientific findings which have lead researches to believe that brown fat in the human body may be helpful in treating obesity and diabetes. Initially, it was believed that brown fat cells were only present in infant humans and small mammals. Further studies revealed that brown fat cells are found in most adult humans in an area extending from the front of the neck to the chest. However, the most recent studies have revealed that brown fat cells lie in areas of deep fat in other regions of the ... Read Full Article. Can Frozen Diet Meals Help You Lose Weight? According to researchers at University of Illinois at Urbana-Champaign, frozen meal diets were found to be effective in inducing weight loss among subjects. The study found that consuming convenient, nutritious frozen dinners was an effective and easy way to watch and control portion sizes. Frozen diet meals have been gaining immense popularity due to their proven effectiveness ... Read Full Article. The American Heart Association (AHA) recommends at least 30 minutes of moderate intensity activity five days a week for healthy adults. Unfortunately, this study conducted at the University of Pittsburgh, which involved 201 women ages 21 to 45, found that this was not enough to avoid weight gain in the long-term. The study concludes that people should try to engage in more exercise or ... Read Full Article. and nutritious food such as lean sources of protein, vegetables, fruit, fiber, and whole grains. > Portion Control is Key. One of the key factors to losing weight is portion control. A good rule of thumb is to eat just enough before you are full or to eat meals about the size of your fist. Tasting is good but gorging is not. > Have Multiple Small Meals. Having four to six small meals a day has been proven to be a very effective way to lose weight as this keeps your metabolism going. Skipping meals and starving yourself does not work at all and may be harmful to your health. > Track Your Progress. Tracking your progress — keeping a detailed account of what you eat and drink, your weight, your goals, and even your thoughts and feelings — has been found to a very effective practice in losing weight. > Commit to a Healthy Lifestyle. The best way to lose weight is to combine healthy eating with regular exercise or an active lifestyle. This requires a commitment to permanent lifestyle changes. Without question, one should seriously consider this if you would like to have good health. > 30 to 39 lbs.? > 60 to 69 lbs.? > 40 to 49 lbs.? > 70 to 79 lbs.? > 50 to 59 lbs.? > 80 to 99 lbs.? The DidWeLoseWeight.com team would like to thank you for visiting our site. We hope that you find the information on our site helpful in your quest to get yourself back into shape, and most of all — better health. If there is something that we can do to help you with your weight loss journey, please feel free to drop us a line. We'd like to hear from you. Here's to your success! We review the best weight loss diets currently in the market. You decide which diet is right for you. Information presented on Did We Lose Weight should never be used as a substitute for advice from qualified nutritionists and medical professionals. Reviews, comments, and other featured information on Did We Lose Weight are for informational purposes only. As a visitor to this site, you agree that Did We Lose Weight is not liable from any loss, harm, or damage resulting from your use of information presented on the site. Additionally, you also agree that Did We Lose Weight is not liable for the accuracy of the information presented on the site. Copyright © 2008-2018 DidWeLoseWeight.com. All rights reserved.